The Fastime 3 Stopwatch is a non memory stopwatch ideal for rugged single event timing and sports games such as football. Suitable for professional use. Times up 23hr 59m 59sec. Times to 100/th second for first 9hr 59min 59sec. Then at 1 second intervals. With START, STOP, (TIME OUT) RESUME or RESET functions only. It has a rugged water resistant and shock resistant case. With a 1 year warranty. Silent (no beep) operation. This is a very simple stopwatch and has benefits for being so. Unlike most others this can only start, stop and clear times. There are no other modes to confuse people operating the clock. This is useful when handing the watch to people to use who are not familiar with it or may be stopwatches in general. If you want one that does lap times, alarm clock, time of day etc look elsewhere. Build is reasonable. Better than the cheapest clocks but not bulletproof. The low'ish cost means it is not a disaster if it broken, drowned or lost. 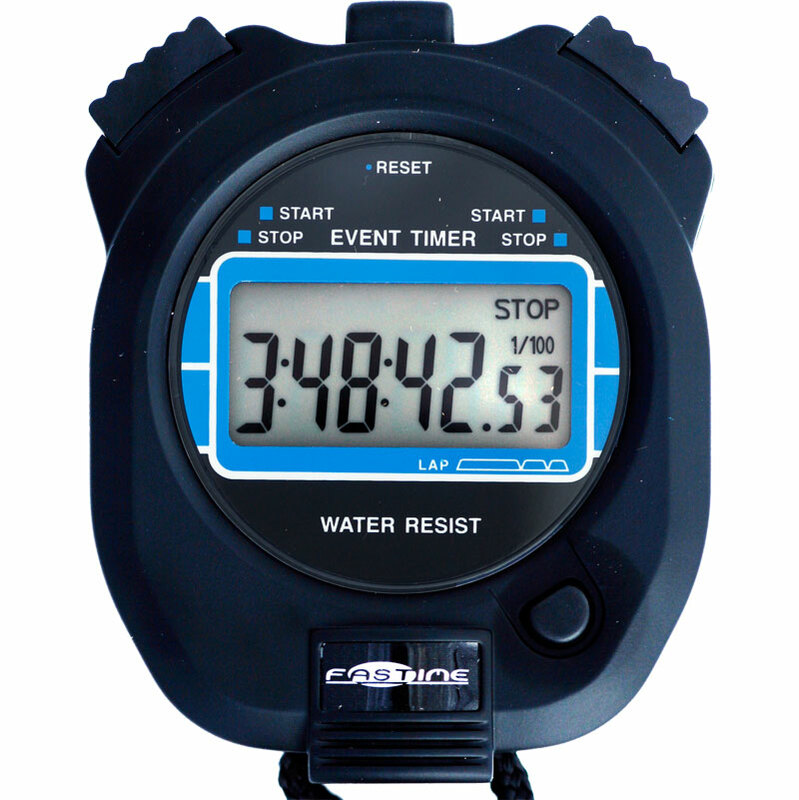 First class stopwatch , positive operation ,ideal for timing single events . Very good value for money , would recommend without question .